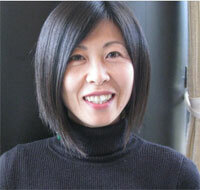 Hiromi Naruse earned her BA in Physical Education from Ehime University, Japan. Since moving to NY 1993, she had danced professionally with contemporary dance companies as well as in the musical theater for 14 years. She became a member of Actor’s Equity Association in 2001. She has been teaching GYROTONIC® since 2001 (certified as a Pre-Trainer, certified in Gyrotonic Level 1, Level 2, Level 1 as a Musical Journey, Gyrotoner, Jumping-Stretching Board, Archway, Leg Extension Unit and Gyrotonic applications for the Shoulder Girdle, for Scoliosis, for the Fascial Body, for Dynamic Trunk Stabilization, for Psoas Principles and for Dancers program 1), GYROKINESIS® (Level 1, Level 2, and Lotus Blossom program 2) and Pilates. She also studies anatomy and fascial body, and she has taken courses such as The Inner Core: the Psoas-Diaphragm Dance taught by Liz Koch (the author of The Psoas Book) and Thomas Myers (the author of ANATOMY TRAINS), and The Female Pelvis and the Cycles of Life taught by Thomas Myers and Dr. Eden Fromberg. In 2007, she returned to Japan to teach at International Pacific University for four years as a faculty member of Physical Education. She had taught Dance, Fitness Programing, Teaching Method for Individual Sports and Body Conditioning; including GYROTONIC®, GYROKINESIS® and Pilates Mat. She was invited to give lectures and workshops nationally for the junior-high and the high school physical education teacher associations. She also wrote a book in the collaboration with her colleagues titled “Risk Management in Sports” published by Gyosei. She has returned to NY in 2011 and has been enjoying teaching Gyrotonic Expansion System and Pilates at Body Evolutions. Addition to her dance trainings, she has participated in many different kind of body, movement technique workshops. And especially Delsarte method has such an impact on her to understand about a connection between mental attitudes, emotions, physical postures and gestures. She observes client’s movements and posture to recognize individual movement pattern, and guide clients to access their mind to their intelligent tissues (muscles) to restore the symmetry quality to the body. Her teaching focuses on moving with no tensions in the joints to utilize and improve the skeleton balance and gaining the stability to move freely. She hopes she can help the clients to improve movement coordination with the efficient breathing pattern to prevent injuries and to maintain the body that can perform 100% of its ability to enjoy life.